T-shirt vector templates for your fashion, textiles and printing projects. 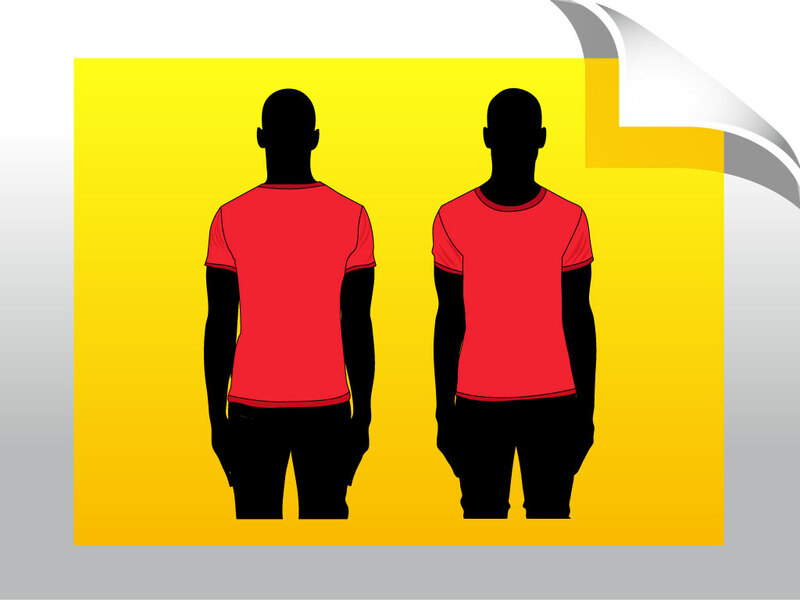 Black vector silhouette model wearing a red t-shirt graphic. The artwork is set on a gray and yellow background image with a page turn effect. Free download for your creative screen-printed t-shirt designs. Just copy and paste your artwork onto the model for a print preview. Cool design aid to create original leisure wear, casual clothes and sport fashion graphics. Tags: Casual, Cotton, Leisure, Male, Man, Model, Shop, Sports, Store, Template.